Before I review each one of them, let me tell you about my skin. I have combination skin, which is acne prone. . Before buying any skin care product, know your skin. Not every product is meant for your skin AND give a product at least 20 to 25 days to see the difference. 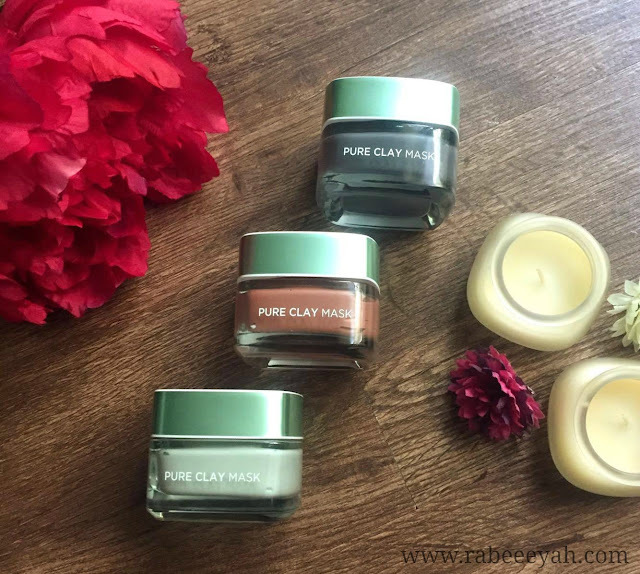 - Kaolin: A highly effective natural clay known to absorb excess sebum. - Montmorillonite: Rich in minerals, a clay recognised for helping to eliminate imperfections. 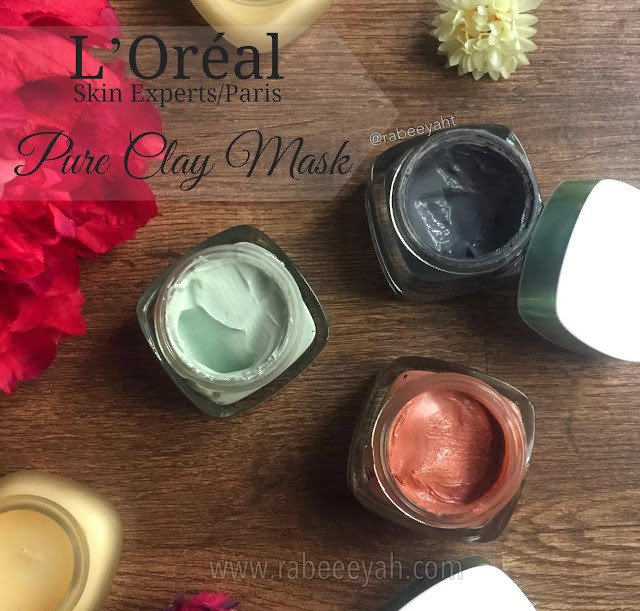 - Ghassoul: A pure clay highly concentrated in minerals renowned to help clarify complexion. All three masks works differently, hence I love multi-masking. Each mask has its own benefits and does a different job. Charcoal mask detoxifies & clarifies. Charcoal helps in pulling out the bacteria, dirt and other micro-particles from the pores to the surface of the skin, and helps you achieve a flawless complexion and fights acne. Oil and dirt that makes the pores appear bigger, whereas charcoal helps in reducing the appearance by clearing the pores deeply. Apply a thin opaque layer on the areas that has visible pores and needs deep cleaning, like I apply on my nose, around the nose, cheeks, chin and forehead. As the mask dries out, notice very closely and you will notice small dots over the mask with something poking out like nails. That's the dirt! I was sold when I saw that, and after washing the mask off, and looking at the clear skin while feeling it I was even more happy. You will not only see the difference, but feel it too. This clay purifies & matifies the skin. If you have oily skin, and you are looking to control the excess oil, this one is just perfect. If you have acne, this helps in soothing them. I have combination skin as well as acne prone. I break out here and there. After using this mask, not only my break out reduced by I also noticed the my acne marks disappeared 90%. My skin has cleared out and looks even. I use this mask once a week, sometimes twice if my skin needs it. Not only it controls the oil, but eucalyptus being the major ingredient soothes my skin. Again, I only apply to the areas that needs it. As soon as I see unwanted pimples popping up, I use this mask & voila they go! This particular mask exfoliates and brightens the skin. Red Algae extract is known for its brightening properties. Algae extract nourishes the skin with vitamins and minerals and protects the skin from antioxidant stress. It also hydrates the skin. 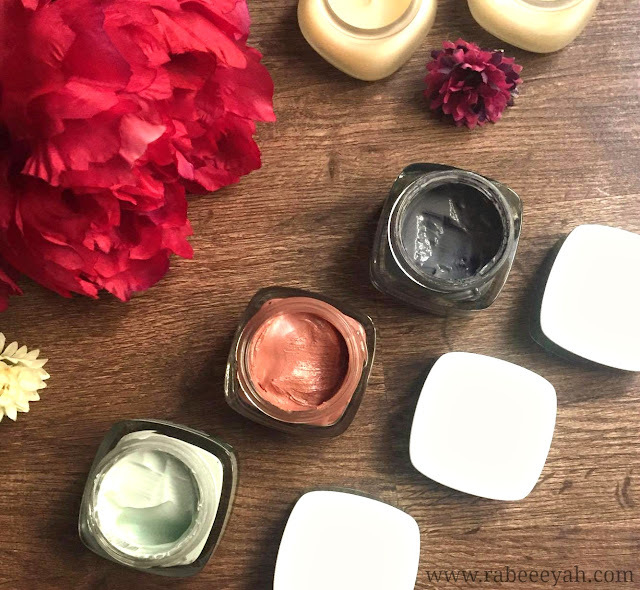 It is creamy in texture and has micro beads that exfoliate the skin and helps in getting rid of the dead skin and brightens up the skin instantly after you wash the mask off. I noticed a glow on the face that doesn't need a highlighter. Best part, it doesn't dry out the skin. I've been using all three for about four weeks now, and not only I could feel the difference, but I've been getting compliments about my clear even out skin. I've been getting questions regarding my skin care regime, and this is what I've been using since last four weeks, along with cleansing every night with L'Oreal Paris Revitalift Cleansing milk and no, this is not a sponsored post. If your skin is cleansed deep, it automatically makes your skin appear bright and glowy. If it's not clean and has dead skin, it will look tired and dull. Some are blessed with good skin, some need good products and some working to make it look good. I personally love all three of them, because each one of it works differently. I cannot pick one out of three if you will ask me to do so. I highly recommend these masks if you want a clean and clear skin. Did you try any one of these? If yes, which one and what are your views on them?